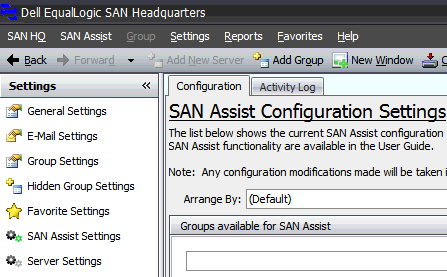 One of the great new features about SAN HQ 2.5 (released in December 2012) is the new SAN Assist feature. 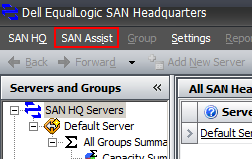 First things first, download the latest version of SAN HeadQuarters from https://support.equallogic.com. 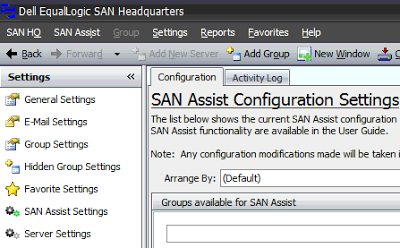 If you’ve already got SAN HeadQuarters, it is fine to run the setup and upgrade over an existing installation, keeping configurations and data. 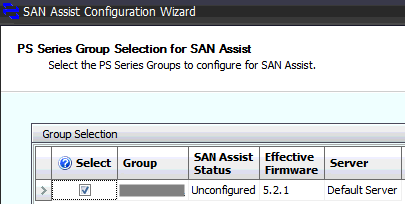 “This wizard will guide you through the process of enabling SAN Assist data collection for the PS Series groups that are monitored by SAN Headquarters Servers. 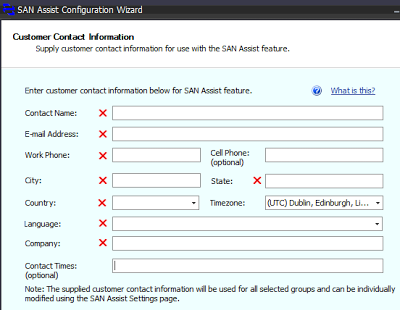 SAN Assist data collection will allow Dell Support to automatically receive detailed diagnostic and configuration information, enabling pro-active monitoring of well-known detectable issues and improved customer notification about potential resolutions. 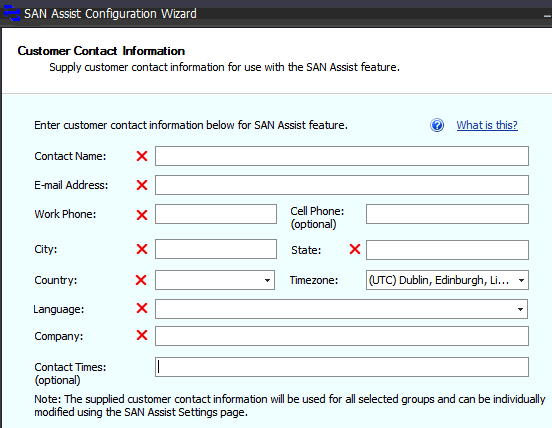 All data collected by SAN Assist is uploaded to the Dell Data Center using a secure encrypted channel over the internet. 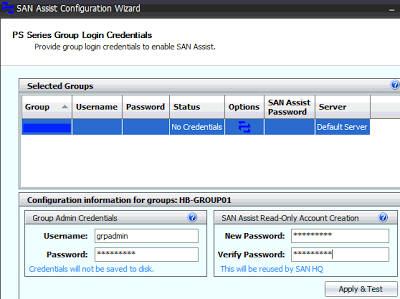 No sensitive information, such as passwords or data stored on PS Series volumes, is collected and transmitted to the Dell Data Center. 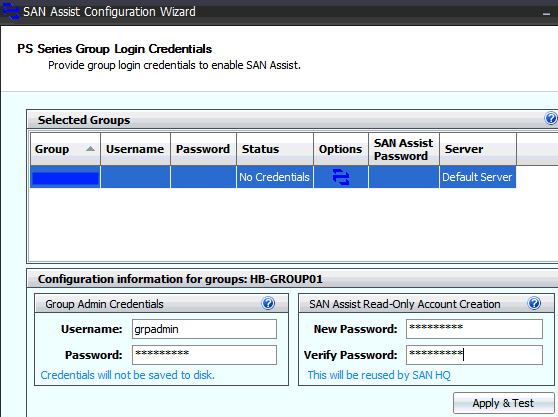 7) Finally, verify your settings and click Configure! 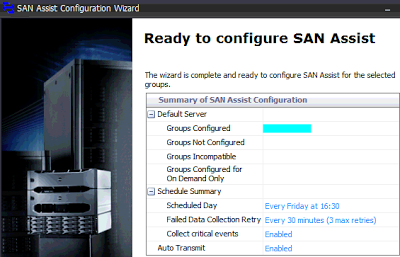 Good and helpful guide, nice written!